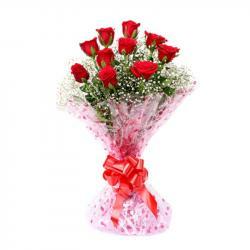 Product Consist : Arrangement of 25 Flowers in a Handle Basket. Celebrate the years of togetherness and gift your lovely wife arrangement of beautiful twenty five assorted flowers in a basket. Fresh and moist flowers were handpicked especially for occasions of Valentines Day. 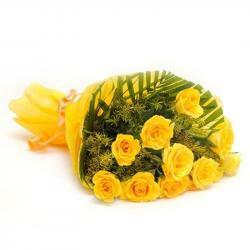 Assorted flowers a reason much fresh and lovely and this gift item will surely elate your special someone. Also add some more adorness with green fillers. This arrangement is team up with handle Basket. So go ahead, place your order now. 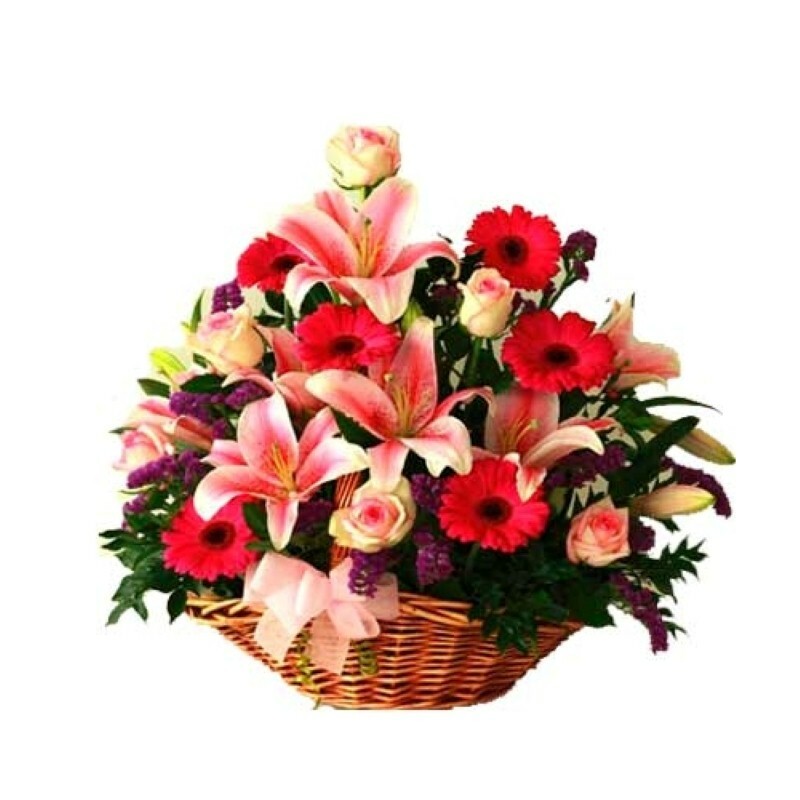 Product Includes: Arrangement of 25 Flowers in a Handle Basket.